Dig out your diaries because the first details of Beat 2010 have been unveiled. 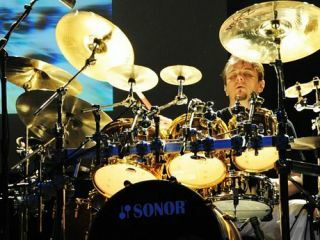 Gavin Harrison has been announced as the drumtastic event's special guest, take a look inside for full details of the event. The Porcupine Tree man will be joined with Toni Cannelli at the Sheffield show on 14 November. As well as checking out all-star guests, visitors will be able to take a look at trade stands, exhibitions, demos and a whole load more. There's also a chance for budding sticksmen and women to put themselves forward in The Beat 2010 Young Drummer Competition. Take a look at www.drummersalliance.com for entry forms and rules.